Since moving to our new place, its been fun to decorate the boys new room and see how it all turned out with a new floor plan. If you remember their old room featured here, I talked about the C’s Beddys Zipper Bedding and how great it was having him able to make his own bed every day. Well, we upgraded him to a full bed and put B in his twin. So, when it came time to looking for bedding, I knew right away what it was going to be. 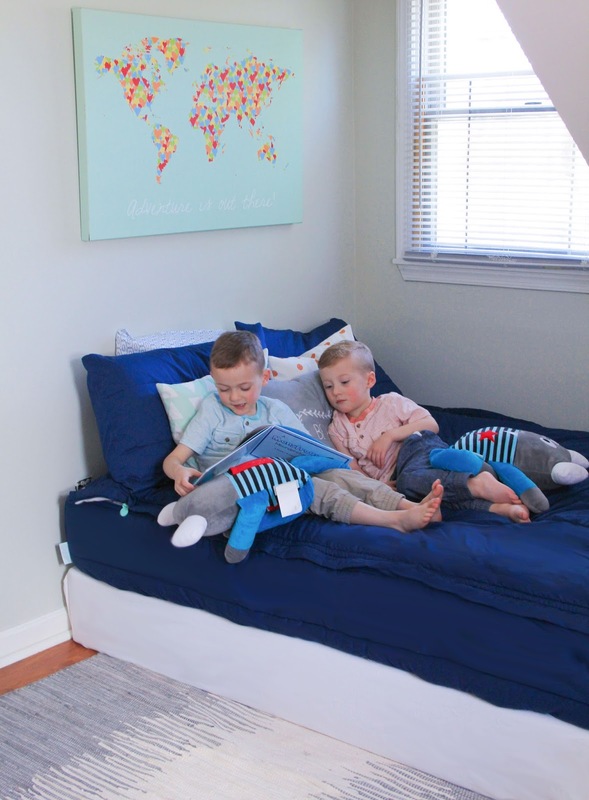 Beddys is seriously the best thing ever invented for moms with young kids. 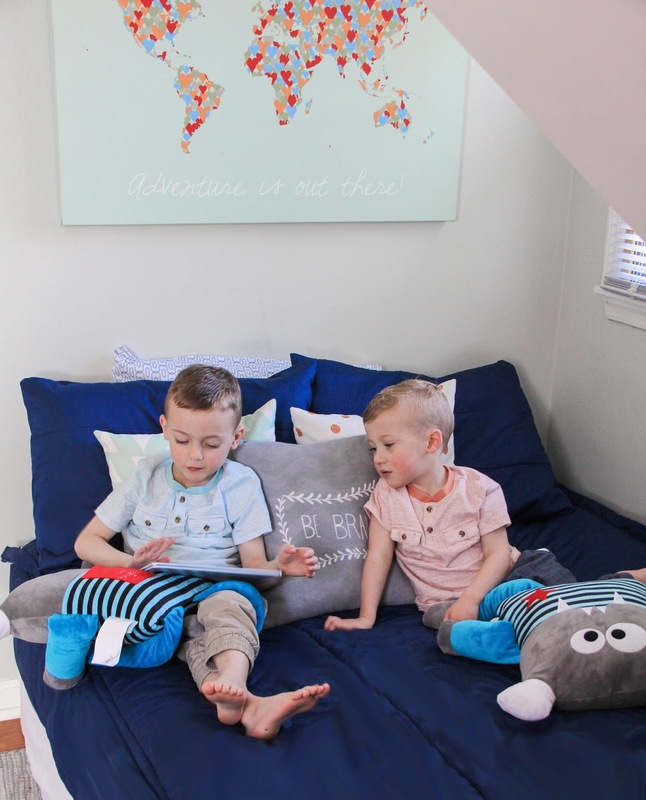 My boys can easily make their beds every day just be zipping them up, and they love doing it too! Not to mention, the quality is awesome and the designs are just darling. 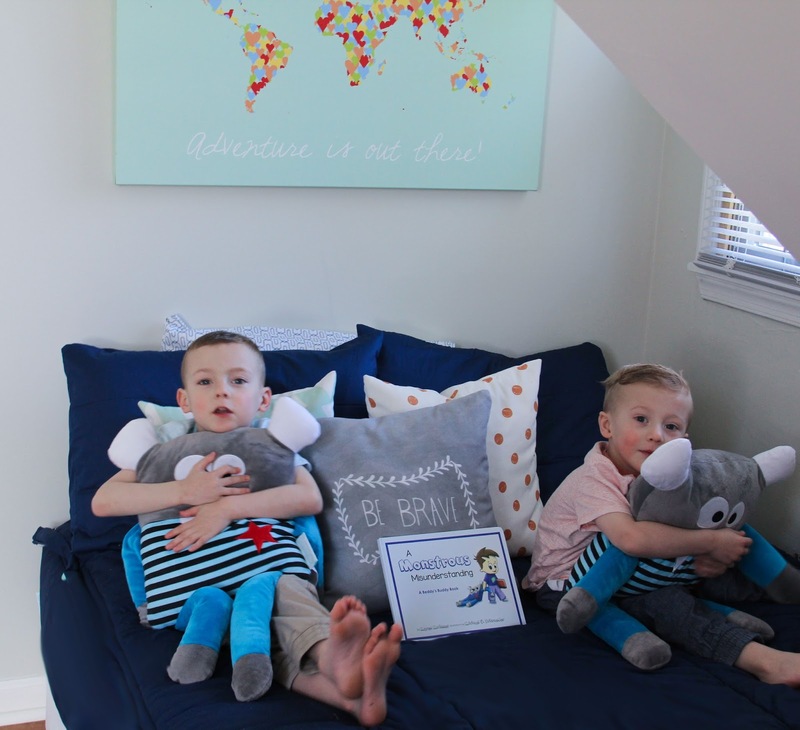 Beddy’s is also selling these adorable plush monsters called Beddy’s Buddies, that come with their own book to read to your kids every night. My boys were having a hard time sleeping at night because of frequent nightmares, and now they have their friendly monster to keep them safe at night. It is the cutest book and they sleep with their monsters every night. C even brought his to Pre School for Show and Tell. I think its safe to say they are kid approved. 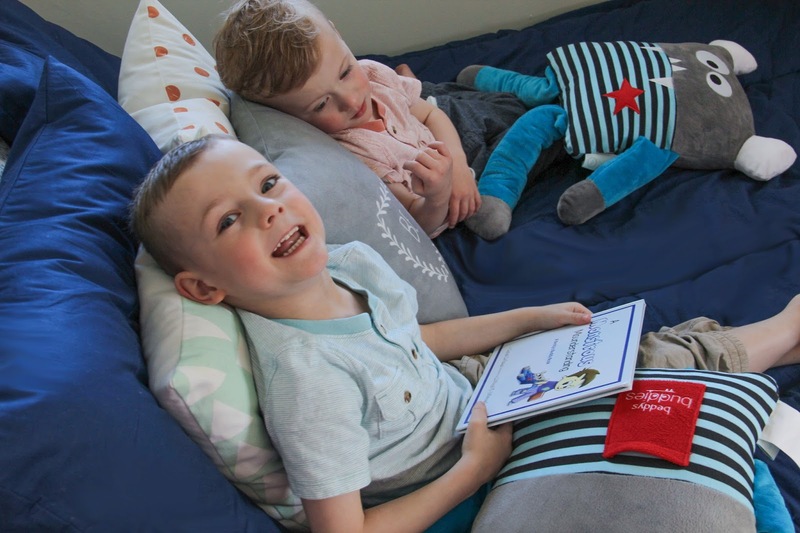 So, if you’re like me and want great bedding that’ll make your life a little easier, try Beddys! I promise you will not be disappointed. 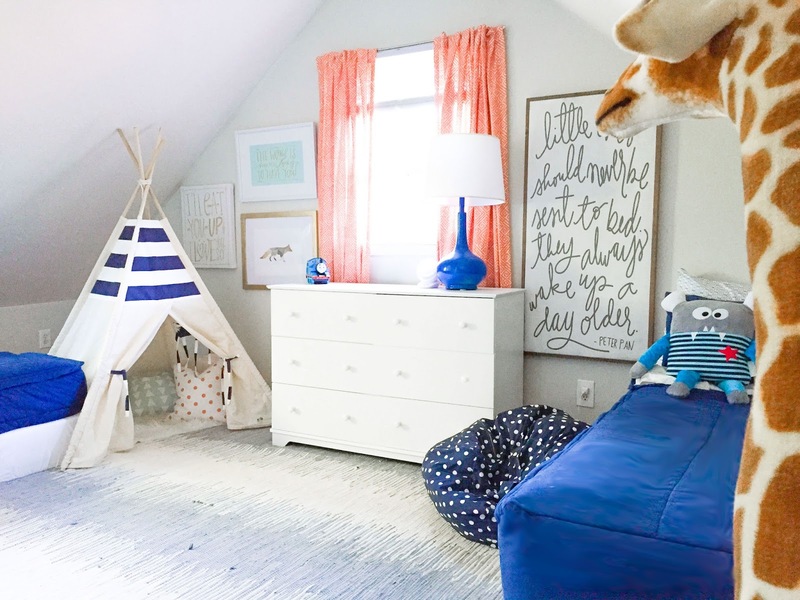 What paint colors did you use on the walls? Where did you find that awesome Peter Pan quote?